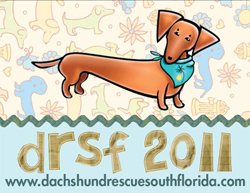 The Dachshund Rescue of South Florida (DRSF) is a foster based 501(c)(3) rescue which seeks to rescue dachshunds off the streets and helps them find new homes. 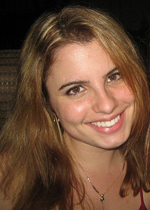 I recently had a chance to interview DRSF volunteer Ashley Labrie. Among other things, Ashley talks about DRSF, why she got started with the organization, and how UPrinting has helped DRSF in their rescue effort. Where does DRSF get its dogs? Almost all of our dogs come to us from county shelters where the dogs have been passed over for adoption after being surrendered by their owners or picked up off the street as strays. Either of these situations can be a very traumatic experience. These doxies are often injured either physically or mentally when they are rescued, but at DRSF we are up for the challenge of loving them until they know just how special they are! All DRSF dogs are seen by a vet, up-to-date on their shots, and have had any other necessary treatment that they may need. Prior to adoption, our dogs may undergo surgeries, such as dental cleanings, spays, neuters, repair of broken bones or collapsed lungs, behavior training, nebulizer treatments, heartworm treatment, ringworm treatment, or rehabilitation such as water therapy and acupuncture. We do whatever is needed to get our dogs ready for their forever families. We have dealt with dogs with tumors, IVDD, and even distemper. Lots and lots of love and care goes into each and every single one of our dogs, which is why we screen our potential forever families thoroughly. We take our work VERY seriously. After so much love, care, and expense has gone into each and every dachshund we care for, we don’t let them go to any ‘ole family! How long have you been volunteering at DRSF? I’ve been with DRSF about a year. It is very fulfilling. There is a commitment level for everyone, whether it be donating once-in-a-while, sustained monthly giving, or volunteering — whether it be a few hours of your time a month, a week, or even more! I had a doxie as a family pet. When he passed away, I wanted to honor his memory even though I wasn’t ready to adopt another dachshund. I adopted a shelter dog — of another breed — and figured that helping a shelter and rescued dachshunds would be a great way to honor my doxie. 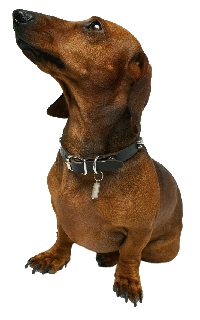 Dachshunds are particularly in need because they face back problems and health issues due to their long-and-low stature. Sometimes owners feel they can no longer care for them, they turn them in to a shelter, but it doesn’t have to be that way. It is very frustrating to see a dog that has years left in their life, not understand why their family doesn’t want them anymore. DRSF works to pull these dogs out of shelters and give them the quality life, care and forever family that they deserve. What events or activities does DRSF hold to meet its objectives? We hold a variety of adoption events where people can meet the dogs that are in foster care. We also have a Facebook page where people can see pictures of the dogs as they are pulled from shelters or owner surrendered, vetted, and fostered. People can follow an individual dog’s journey from their first day as a DRSF dog until they are placed in a forever family (and sometimes even after since we keep in touch with forever families and we can continue to post updates). We also hold social events and yappy hours as fundraisers to raise money so that we can continue to rescue doxies. Our biggest social event is the South Beach Wienerfest, which took place a few weeks ago on January 22nd. Another of our bigger fundraisers is our calendar contest and the sale of our DRSF calendar, which UPrinting helped us with. Speaking of the calendar, how did it turn out? The Dachshund Rescue South Florida calendars came out absolutely fabulous. The printing quality was excellent and our shipment even arrived a day early. How would you describe your experience working with UPrinting and the UCommunity Program? From start to finish everyone at UPrinting was very professional and helpful. The sponsorship through the UCommunity Program and excellent price on printing allowed us to save money on production costs — this means more money that can go to rescuing dogs. We would gladly recommend UPrinting and look forward to working with you again. Check out our web page at www.dachshundrescuesouthflorida.com for tons of doxie pics, adoptable pets, and news. For up to the minute streaming that is updated constantly, fan us on Facebook. Please spay or neuter your pet. It prolongs their life and keeps pets out of shelters. Don’t shop for a pet at a pet store, adopt from a shelter or rescue. Petharbor.com is a great resource. Consider making a donation to a small local animal rescue, whether it be supplies — blankets, bowls, collars, leashes, food, treats, medicine, etc. — or monetary — even $5 makes a difference. UPrinting established the UCommunity Program to assist the non-profit community. For more information or to apply for a sponsorship, visit www.uprinting.com/non-profit-sponsor-program.